Crank up your music on the trails, camping or tailgating with the Boss Audio ATVB95LED Weatherproof Powersports Plug and Play System. Compatible with any 12V power source, enjoy great sound with the 800 Watts Max Power Amp, 8 inch Speakers and 1.5 inch Tweeters. Hook up your Smartphone or MP3 Player to the Auxiliary Input and charge them with the USB Charging Port. A dual row LED Light Bar increases visibility day or night. Play and control your favorite music, apps and the LED light bar with the IPX5 Rated Weatherpoof Bluetooth Inline Multifunction Remote. Store valuables in a front compartment. 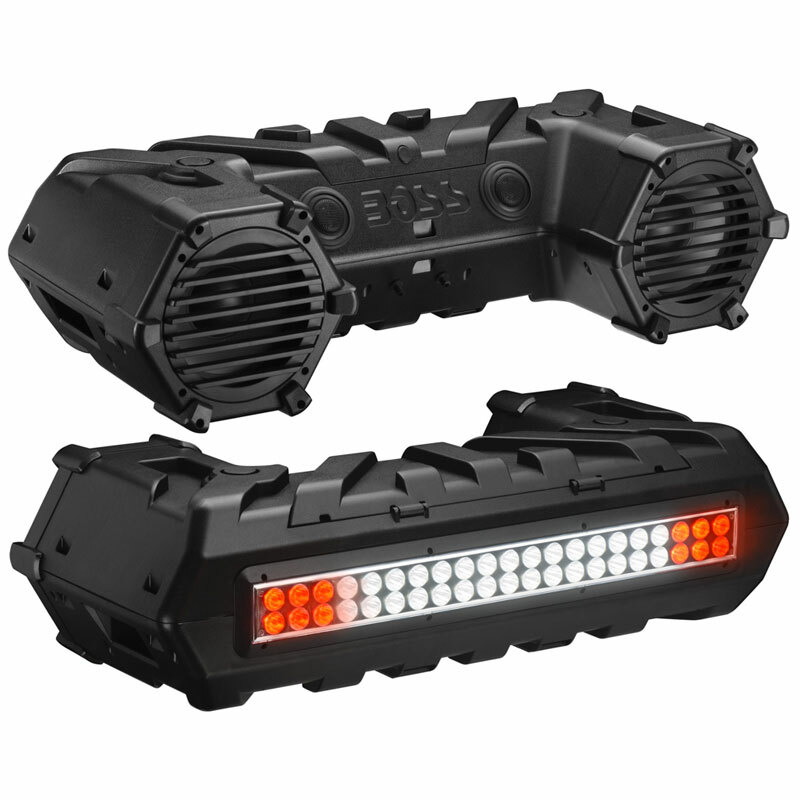 The ATVB95LED is Fully Marinized to protect against the elements.